Love starts here. With you. Simply put, none of this work is possible without you. Only because of your generous support can we continue to care for and protect the most vulnerable animals in our community and give them a fresh start in life. Thank you for your donation. 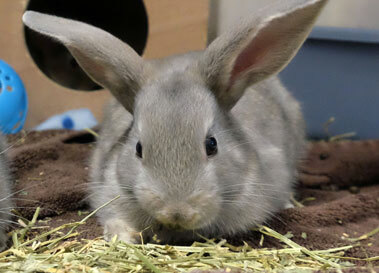 Your gift helps feed and care for the animals right here in our community. We can send your designee an eCard noting the gift made in honor or memory. 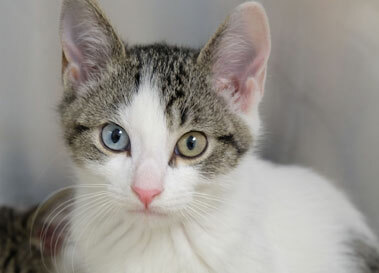 Donating monthly is easy, automatic, and ensures animals get help without delay, right when they need it the most. Leave a legacy, and send your designee a card or remain anonymous. Make sure a homeless animal gets everything s/he needs. 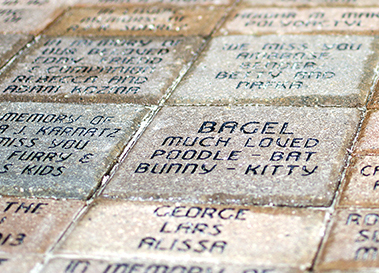 Leave a lasting impression with a personalized brick paver that forever lines the entry to our shelter. Be a part of our Visionary Circle. You can help the animals just by shopping! 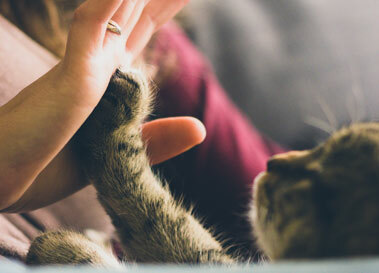 Check out our Paws to Shop store, or go to your regular places-- many retailers will ``give back`` to HSHV when you use them, at no extra cost to you! Individuals, groups, online or off -- fundraising can be FUN. Here are some ideas on how to help the animals. Would you rather give an in-kind gift? Here's a list of what the animals need most. We are a top-rated Charity Navigator organization. This rating is our promise and your assurance of the highest level of financial stewardship of your gift.